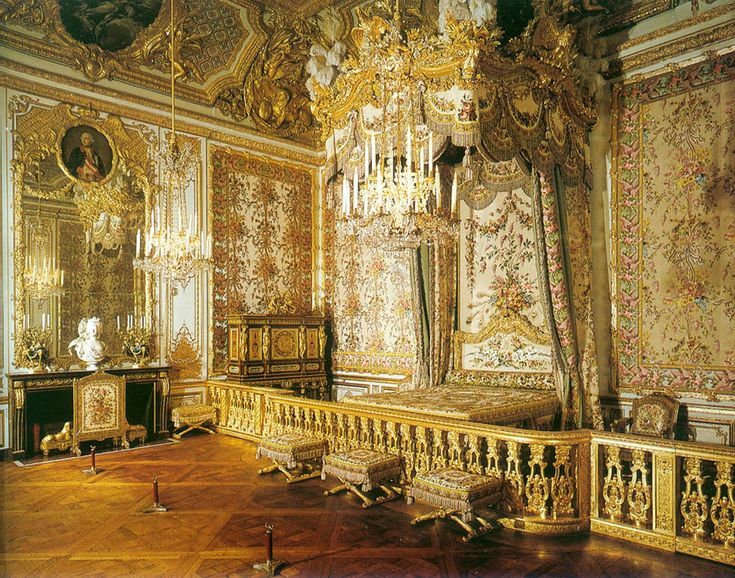 This is the main room of the Queen's apartments and she would have spent most of her time here. 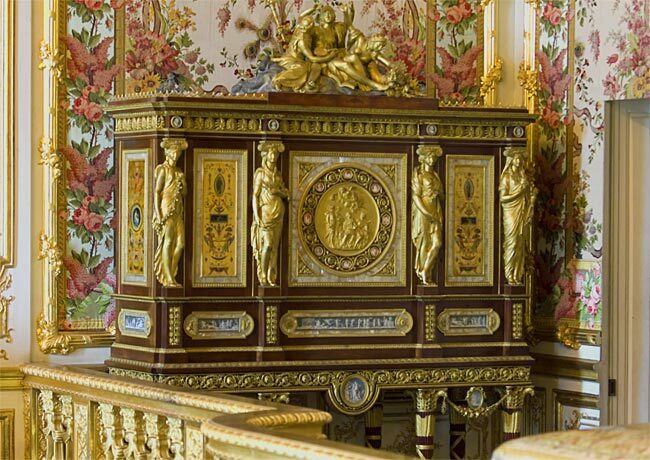 Not only would she sleep here but she would perform her Toilette which became a court event due to the etiquette of the French court. This was where the Queen would give birth - again in public. 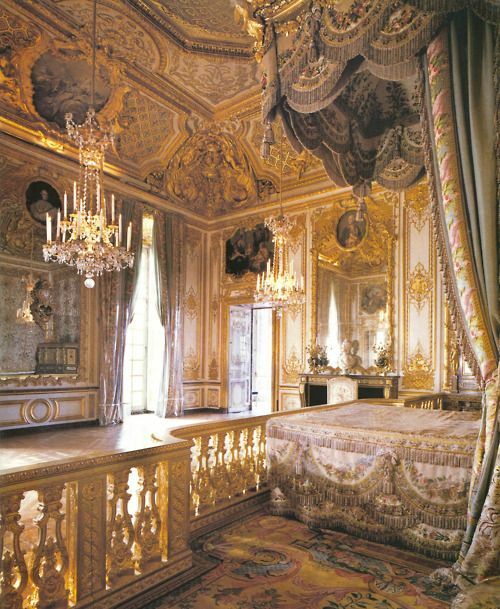 The room represents the three last Queens that lived here. 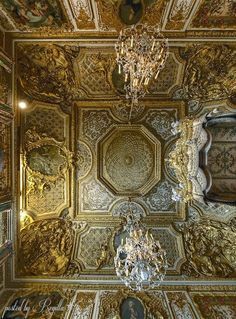 The ceiling is from the time of Queen Marie-Thérèse, the paintings and the wooden panels dates from the time of Queen Marie Leszczinska and the fireplace and furniture is from when Marie Antoinette was Queen of France. 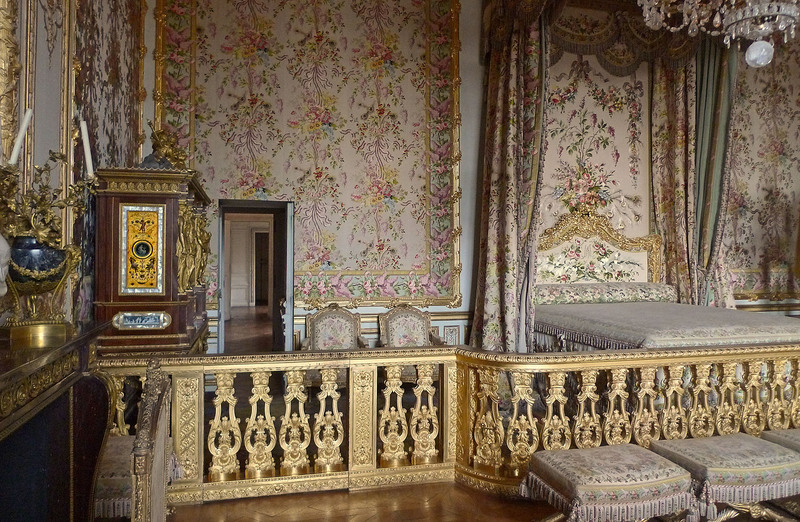 The hidden door left of the bed served as an escape-route for Marie Antoinette when Versailles was stormed by rioters on October 6 1789 - without she would probably had been killed. 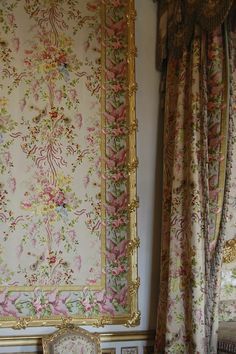 The bedsheets and bed draping are designed by Marie Antoinette and was rewoven in Lyon after the original drawings. Today a bust of Marie Antoinette is placed before a large mirror, gazing on the thousands of tourists coming by every year. 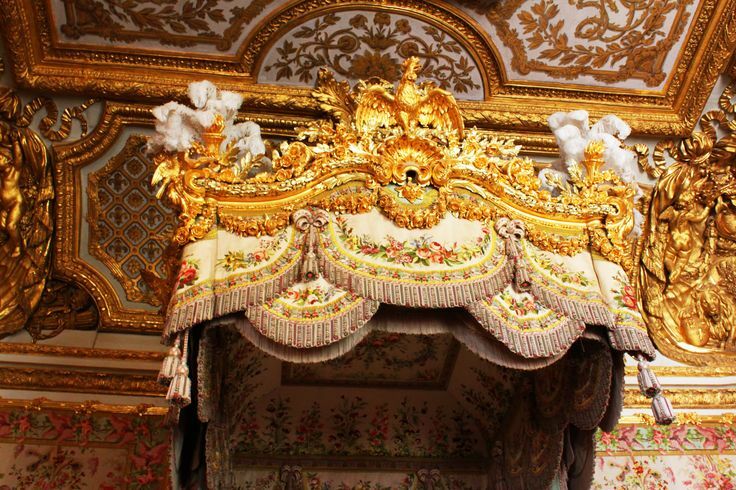 The golden canopy above the bed is centred around an Austrian Imperial Eagle - the symbol of Marie Antoinette's family. 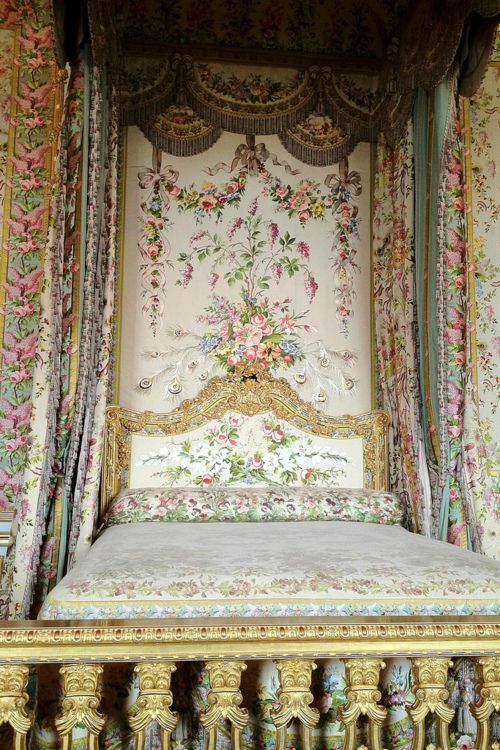 The headboard has Marie Antoinette's intertwined initials sewn. In the morning the Queen would receive visitors in her chamber. The room features a Baillou and Crescent clock and a fireplace done by Sené.